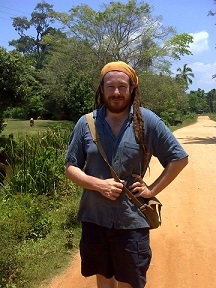 James Blinkhorn is a Postdoctoral Fellow at the Max Planck Institute for the Science of Human History, Jena, Germany, investigating hominin colonisation and dispersal across a major biogeographic boundary in the Thar Desert, India. He specialises in the lithic technology of the Middle and Late Palaeolithic of South Asia, and supports this with palaeoenvironmental analyses. He is actively engaged in fieldwork in the Thar Desert, while collaborating on research projects in Sri Lanka, Kenya and Gibraltar. Beyond Palaeolithic demography and technology, he is also a specialist in South Asian rock art studies, with particular focus on forager-farmer interactions.